we’re pretty much a slam dunk. 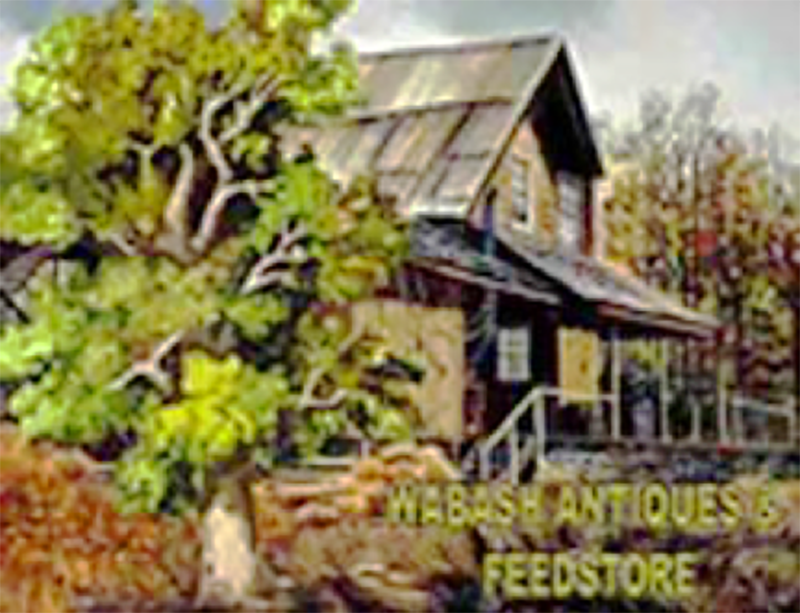 Wabash Antiques and Feed Store is a Houston institution. 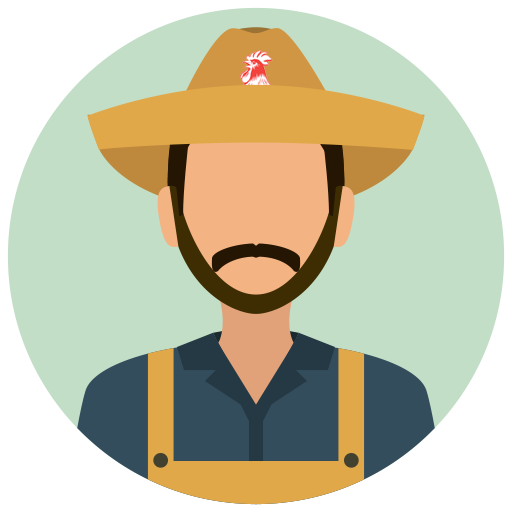 For over 100 years, we’ve been supplying feed, seed, and farming supplies to Houston’s early settlers and today’s backyard gardeners. A little bit of country in the heart of the city. While Houston has grown and changed around us, we’ve kept the values and traditions Wabash has stood for since the beginning of our time. 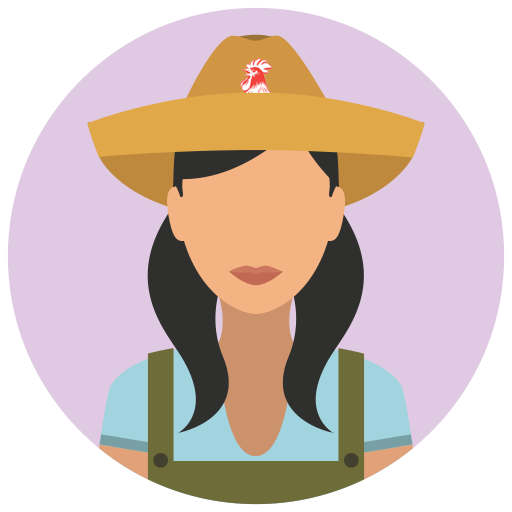 You can see and feel this spirit in our selection of gardening solutions, livestock feed, our rustic décor, and the friendly Wabash greeting you’ll receive from our experienced, knowledgeable staff. An oasis in an urban wilderness. While it’s true we are a feed store, we’re much more than that.  We’re a hardware store, a pet shop, an organic herb garden and an antique market. 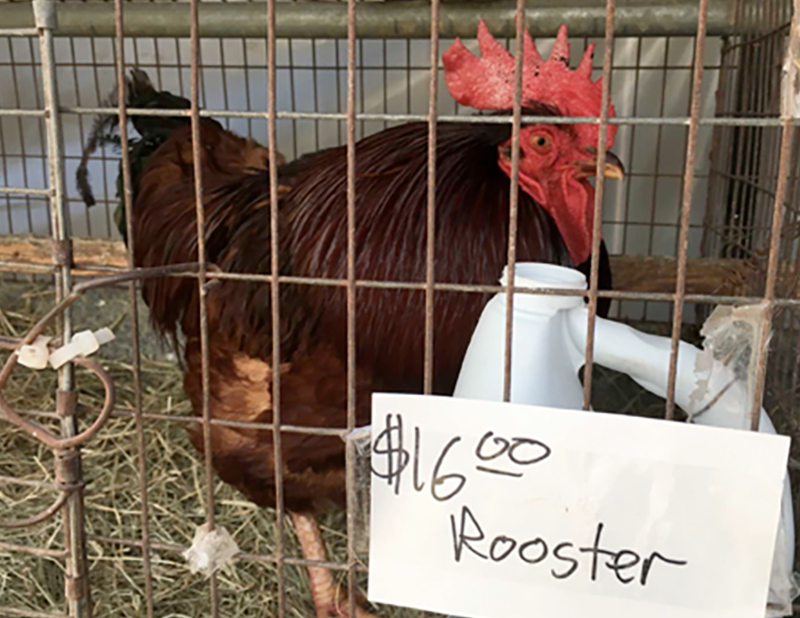 We’re the only place in Houston where you can find holistic pet treatments, vegetable and native plants, natural pet foods, bird feeders, fertilizer and an enormous selection of farm poultry all under one barn roof. Yep, we are a different kind of feed store. And that’s good. This store, originally owned by a German family, opened at the turn of the century in the 6400 block Washington Avenue. It was called Consumer Grain. The name changed to Consumer Grain and Feed and then to Consumer Grain and Fuel to reflect changes in the store’s inventory. A store by any other name would be called something else. The family sold the store in the 1970s to interior designer Manning Mann, who was looking to expand his antique business. 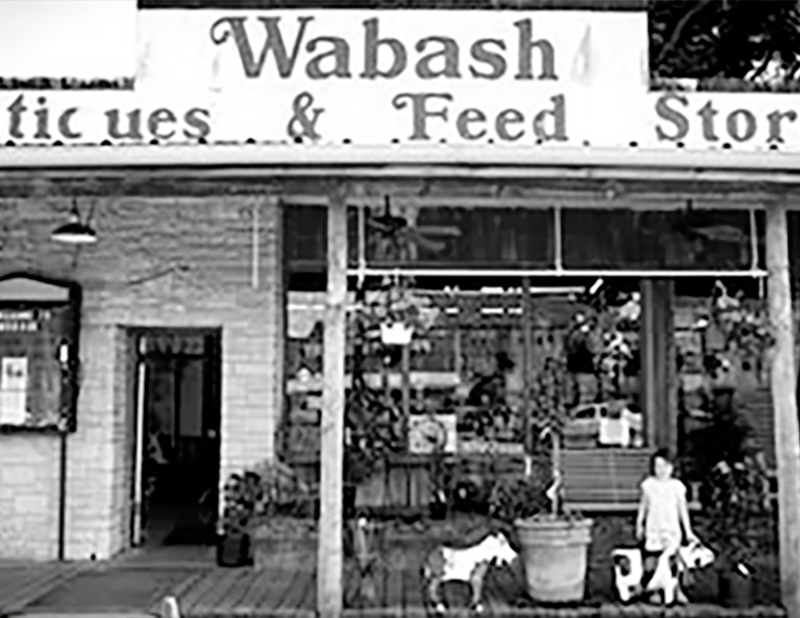 He liked the feel of the place, and ended up keeping the feed business, changing the name once again to the Wabash Antiques and Feed Store. “Wabash” is a name Mann coined. It stands for Washington Avenue Bric-Brac, Antiques, Sundries and Hardware. We have beer! What could go wrong? Mann, who got a beer license so his customers could kick back and relax while browsing for antiques, enjoyed running the store for the next four years. When the real estate market crashed, the antique business saw tough times as well. Mann put the store up for sale. Well, our present owner, Betty Heacker, bought the store, and the rest, as they say, is history. Betty stayed at the Washington Ave. location for almost five years until the original owner died and the land went into his estate. Betty tried to buy the property but couldn’t come to terms with the heirs, so she started looking for another site. She scoured the Washington Avenue area but couldn’t find anything that wasn’t completely run down or dilapidated. 100 years and still growing. Finally, Betty found a small, square concrete building that had been vacant for 10 years. It had an interesting 1950s facade, but Heacker couldn’t see how an earthy feed store would ever work in it. A friend insisted, though, that she could “build it to look old”. And if the place weren’t already charming enough, a giant pecan tree that builders told Betty she’d have to cut down in order to expand her store grows right smack dab in the middle of the place, through a hole cut out of the ceiling. 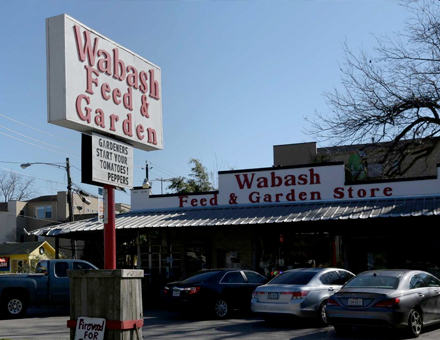 Our new location at 4537 North Shepherd will allow us to vastly expand our product lines and quantities providing even more of what our customers have grown to love about Wabash. Plus, we’ll be adding an acre of parking! It’s like “Green Acres” meets “Modern Family” at a pre-apocalyptic feed store and hilarity ensues. Victory Gardens Are Back (Houston Chronicle) Wabash was mentioned in this Houston Chronicle Gardening section article about an increasing interest in home grown vegetables by Kathy Huber. KUHF Interview with Wabash owner Betty Heacker Houston radio station KUHF interviewed Wabash Feed store owner Betty Heacker. You can read the transcript and even listen to the interview here. 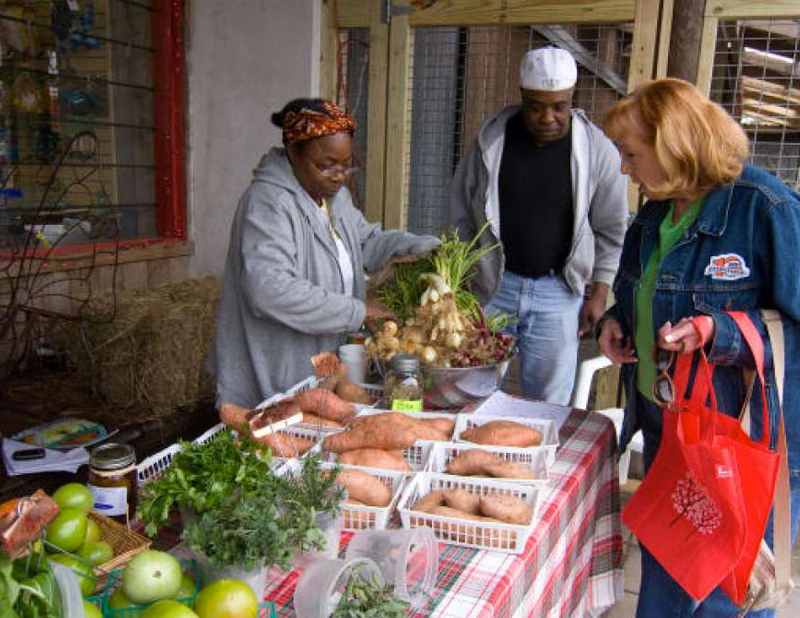 Urban Harvest (Houston Chronicle) Houston Chronicle Gardening mentioned the onions at Wabash in this 2007 article by Dr. Bob Randall. KHOU story on Wabash Houston news station KHOU did a story on Wabash Antiques and Feed in 2006. Country Time (Houston Press) Local paper the Houston Press wrote about Wabash in this November 2006 article by Steven Devadanam. Room to Crow (Houston Press) The Houston Press wrote of Wabash in this 2000 article by Melissa Hung. Citysearch Read reviews and information about Wabash at the Citysearch site. If you have something to say about Wabash, leave a comment. Yelp.com Another consumer site with some nice reviews about Wabash. Must be physically fit and be able to lift 50 lbs. Must have a pleasant manners and work will with others. Why do you love Wabash? It suits me! And, I get to be the boss! But I really enjoy being the ORGANIC LADY more! Favorite department: My favorite is the Garden section. I think it is the most diverse, complex and challenging area we work in. Everything we grow and sell is organic so I feel as good growing it as I do eating it! Tile: Manager/Vice President and the PET FOOD AND LIVESTOCK GUY. 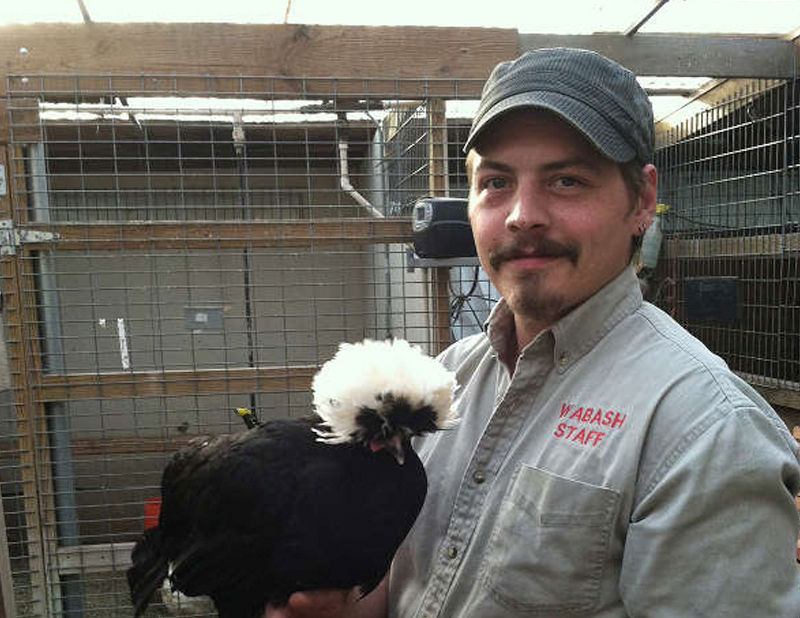 Why do you love Wabash? Meeting new people and helping our many long-time customers, many who have now become old friends. Favorite department? I love all of the departments! How can you pick your favorite child? Working here is a lot of fun. How can you call it work when you’re doing what you love and helping people. Tile: Manager, Counter Sales & Daily Operation. 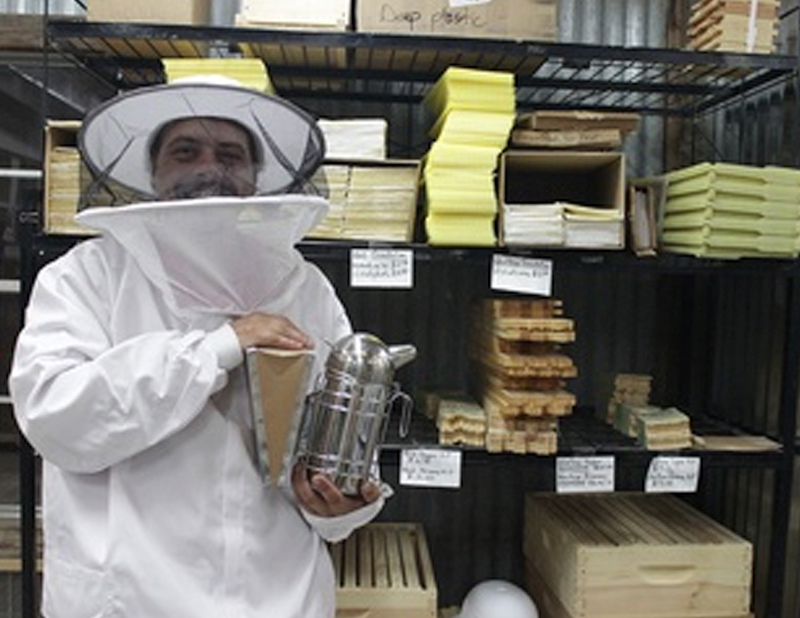 Job description: I’m also the BEE GUY and CHICKEN GUY! Why do you love Wabash? It’s like getting paid to go to school! I love school! Favorite department? Chickens!  Everybody loves chickens, right? Who knows, maybe one day I’ll paint one! On canvas!!! Tile: Inventory manager and CAT LADY! Why do you love Wabash? Relaxed atmosphere and dress code. I love helping people find solutions to their problems. Favorite department? Kittens because WHY NOT?!! We do help place unwanted litters and sell cat food and supplies. I can tell you everything you need to know about cat food and a few things you don’t need. I think I need to get out more.